How good are you at spotting a choice? 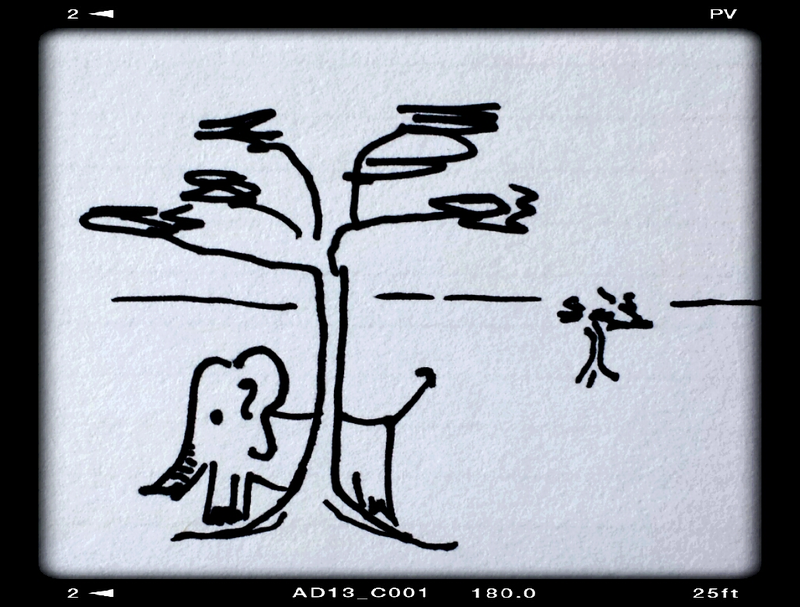 Most choices are easy to spot, like elephants. They’re sometimes just as difficult to redirect, but we certainly know they’re there. The choices we don’t see, the snipes, lurk where we feel stuck. So elusive we may not even believe they exist. Every time you talk with your best friend, she runs through her litany of complaints: They don’t appreciate her at work, her husband doesn’t listen to her, and her kids are driving her crazy. You listen, you offer a suggestion or two, but nothing changes. The same story every time. Do you believe she has no choice? Of course not. You grumble about how she needs to get a new job, do something about that husband, and read that book you keep telling her about – the one that helped you with your kids. She’s not stuck, she’s just not doing anything about her situation, right? Work isn’t challenging me but there’s no place else for me to go? I’d like to exercise more but between work and the kids I have no time? I want to try something new, but I’m too old to switch tracks now? See that place where you have no choice? Congratulations, you trapped your snipe. We always have choices. Choosing not to do something, for instance. Sometimes we don’t want to see them because they’re hard choices. Several years ago, I talked with someone who, years earlier, had set aside the beginnings of a promising creative career that was filled with uncertainty to work in a secure job that provided well for his family. I expected him to express regret, a longing for that path not taken. Instead, he said something that’s stuck with me. He’d moved beyond regret because he owned that choice. We tend to value the bold choice, the one that prefaces a rags-to-riches story. It often involves a company started in the garage, inspiration, good fortune, and a well-deserving protagonist. We also tend to see these stories as having pivotal moments in which the main character makes the all-determining choice. They’re structured like movies or novels. Real life is a little less clear. Looking around, I see this model everywhere now. Reports, discussions, stories – we describe choices as black-and-white. Either-or. Pros-and-cons. Win-lose. This blocks out our ability to discern all the possibilities lingering in the middle. With this question, she introduced me to the concept of polarity in decision-making. If we see either-or choices, we tend to “choose” one to the detriment of the other end of the pole, which gets us out of balance. For instance, if you focus solely on cost-cutting, and your customer service suffers, you’ll lose customers. If you focus only on customer service and your costs go way up, you’ll lose customers. It’s not an all-or-nothing scenario – it’s about balanced choices. The promising creative path my friend didn’t follow didn’t entirely go away. He found a way to incorporate parts of it into his daily work, taking on projects on the side, and keeping his skills and abilities alive for many years. When he reached a point of feeling that the family obligations had been met, he was able to choose anew, and refocus on the creative calling. If he’d seen it as all-or-nothing, stopped everything, he wouldn’t have built up the skills and talents he did during those years of choosing to support his family first. Imagine how this applies to the stuck situation you jotted down earlier. Are there choices lurking in the underbrush that you didn’t see before? There’s a great feeling of liberation in embracing the ability to make a choice. Even if you know you’re making the easy choice, or not making a hard choice, at least you’ve put yourself back in the driver’s seat. Better to ride an elephant than a snipe.